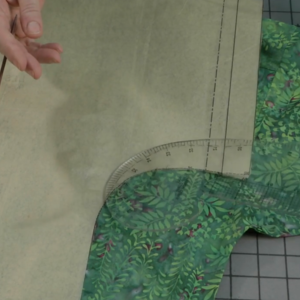 How to evaluate the fit and style of a pattern before you sew it. The keys to a garment you’ll wear forever are great style and fit. 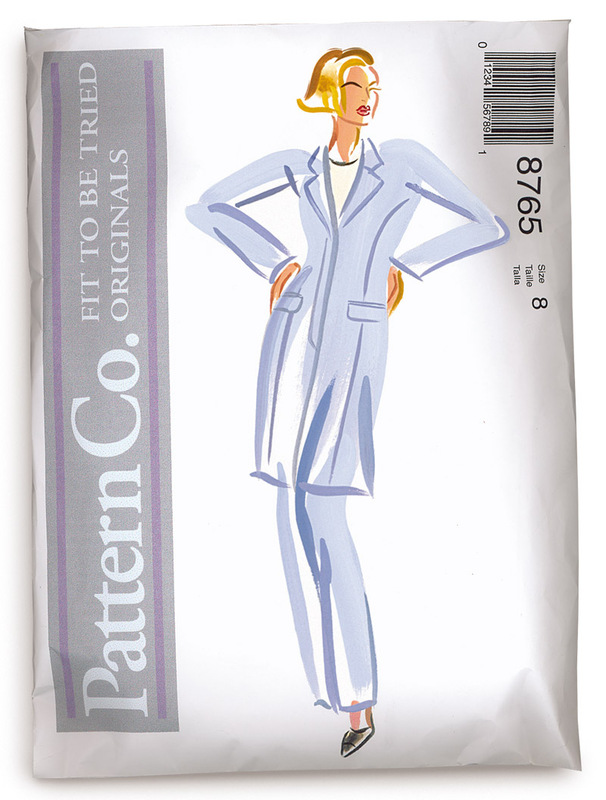 And finding both a flattering style and a good fit begins with choosing the right pattern. Unfortunately, tracking down that pattern can often be just a matter of luck, unless you figure out—from the very beginning—if the pattern will give you the look and fit you envision. More inspiration than reality, the fashion illustration is designed to flatter the garment and often uses distorted proportions. If there’s only an illustration to refer to, spend extra time analyzing and measuring the pattern itself. 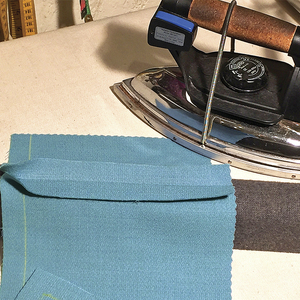 In this article, I’ve outlined a reliable method for “reading” the front and back of any pattern envelope and analyzing the tissue pattern (you may be able to do this in the fabric store if you’re very careful unfolding and refolding the pattern). I’ll also help you recognize important clues—and hidden pitfalls—that will tell you whether a pattern is a wise investment of your time and money. 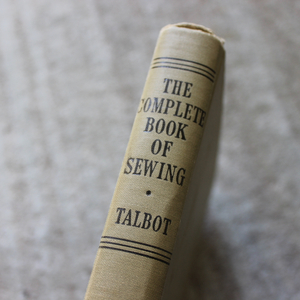 There are several important things to have in mind every time you look for a pattern: a solid image of the type of garment you want to sew, your personal preferences about fit, the kind of fabric you want to use, the degree of difficulty you’re prepared for, how much time you have to sew this garment, and an understanding of sizing conventions and ease. Even taking all these things into consideration, I spend no more than half an hour assessing a pattern. 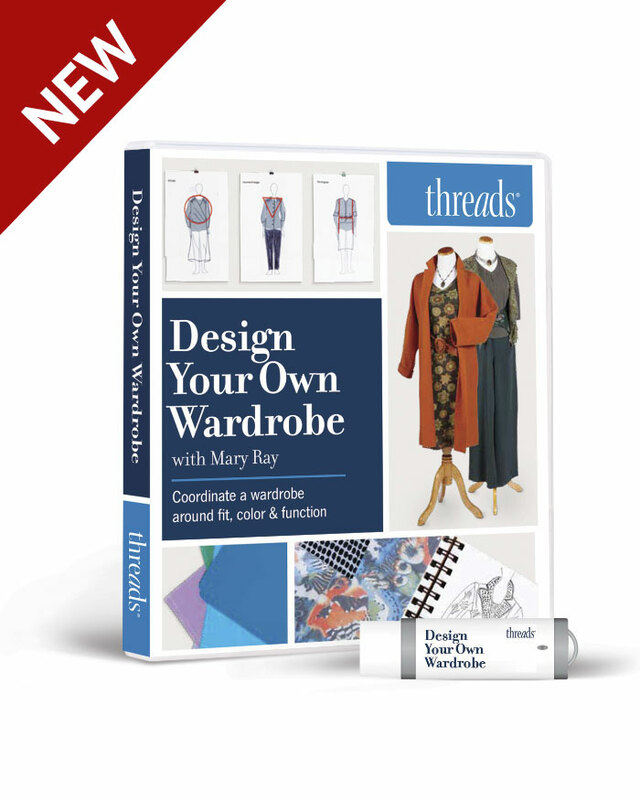 This is a bargain when I think of the frustration and the hours I used to waste wrestling with an unworkable pattern, not to mention the expensive fabric I’ve wasted on a garment that just wouldn’t come together. Study the photos—they’re your window into fit. The garment should look perfect (photo stylists work hard at getting it that way). If anything is awry, there might be a problem with the pattern itself. Prioritize and look past the details. 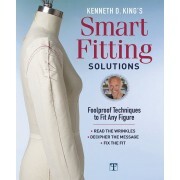 Focus on a garment’s lines and fit. Pay attention to difficult-to-modify elements, such as a collar, but don’t be deterred by color and details you can easily change, such as patch pockets or length. Variations and ensemble pieces. If your pattern is an ensemble, or includes variations of the same garment, inspect each photo closely. If any variation or ensemble piece looks strange, measure the entire pattern carefully. 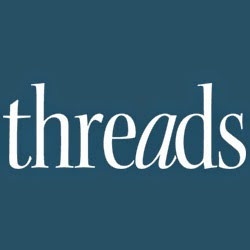 Threads mocked up this example of a pattern envelope. Pattern sizes run larger than ready-to-wear. Check the measurement chart and, if available, the silhouette key. Schematics (front and back views) are technically accurate, drawn to scale, and show details like pocket placement. Valuable clues clarify what may be hidden or distorted in the photo. 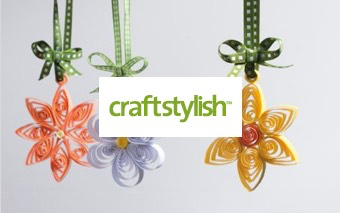 Look for “fitted,” “semi-fitted,” or “loose fitting,” which refer to the ease included in the pattern. A higher price indicates a designer pattern, one with variations, or an ensemble package. It’s rare that every piece of an ensemble will fit you perfectly. Know your skill level and time limitations, and pick a pattern accordingly. Scan instructions to double-check complexity of construction techniques. Always buy at least the yardage indicated, especially if you need to alter the pattern. 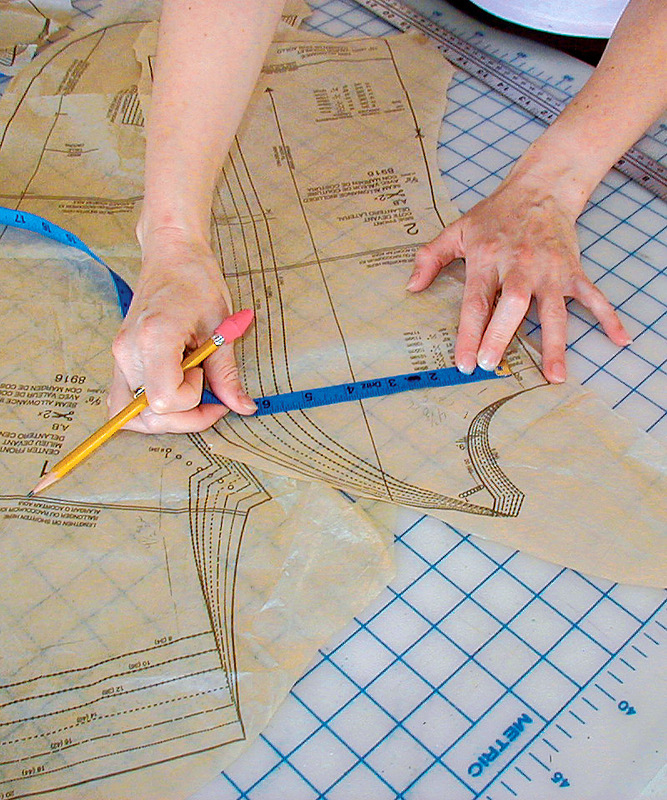 To determine your true yardage requirements, lay out all the pattern pieces (with alterations) and measure. It’s wonderful if you can choose a pattern before you have a fabric in mind, because then you can closely follow the fabric recommendations listed on the pattern envelope. However, I often find that I’m inspired by a gorgeous fabric, purchase a length of it, and then have to hunt down a pattern to match. If you have a specific fabric in mind, try to find a pattern that recommends fabrics with the same fiber content and weave. Or make sure that the fabric you chose has a similar weight and drape. Heavy fabrics don’t drape the way lightweight ones do, and they add bulk in the seams. 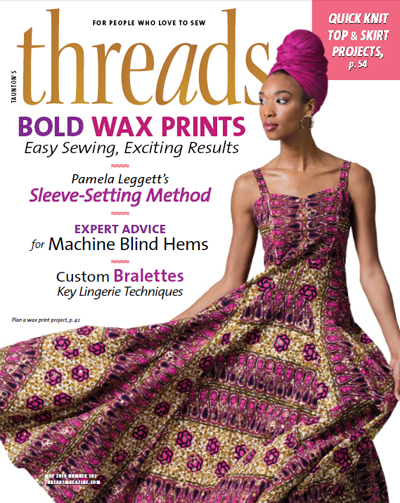 Also note whether a knit or a stretch fabric is recommended for the pattern you’re considering; if that’s the case, then the pattern will include less ease than one that’s made for nonstretch fabrics. Figuring out a pattern’s level of difficulty and comparing it with your own skills is the next important step. Decide whether you feel up to a challenge, and realistically address how much time you can devote to a project. Thinking about options ahead of time eliminates surprises later. 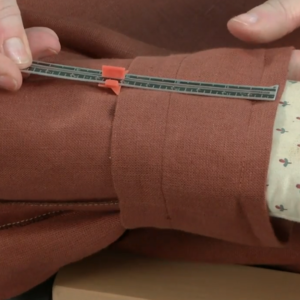 If you’re looking for a quick-and-easy project, consider whether you can eliminate tricky construction elements on a more complicated pattern: Use snaps instead of buttonholes, omit pockets, remove the vent in the sleeve, or replace a fly-front zipper with an invisible side-seam zipper. I also recommend at least scanning the instructions inside the envelope to accurately judge the skill needed, even if a difficulty level is indicated on the envelope. A pattern that’s noted as being within your skill level may actually have difficult construction techniques. In fact, sometimes certain steps or illustrations are left out in more advanced patterns, which can be confusing to less-skilled sewers. And it’s better to discover that before you’re knee-deep in fabric and pins. Remember that not all patterns are sized the same. 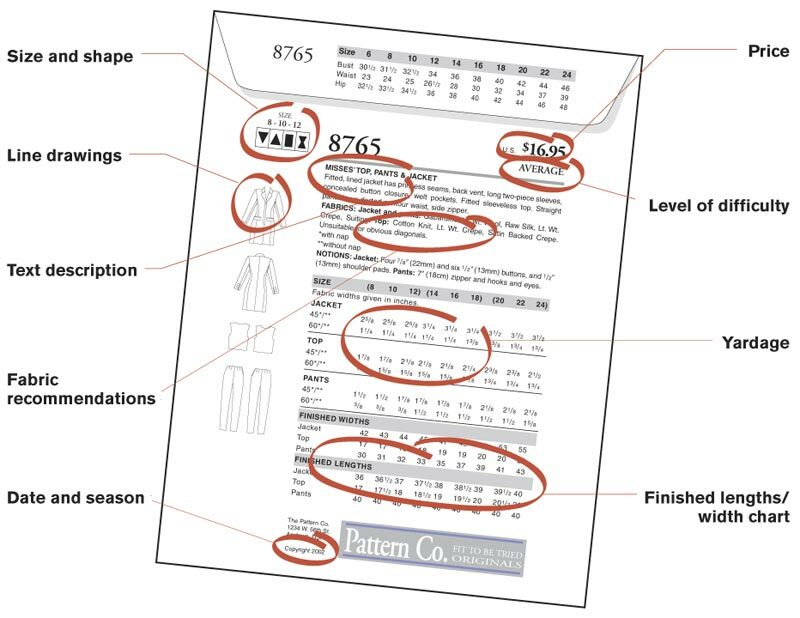 Sizing and fit standards can vary from pattern company to pattern company, especially among independent manufacturers. 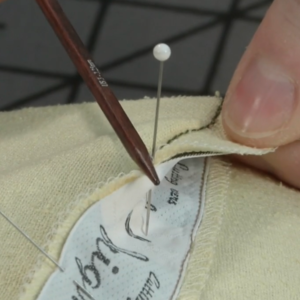 But, by reading the pattern envelope and taking initial measurements, you can confidently use patterns from any company and make the fit your own. That said, the Big Four—Vogue, Butterick, McCall’s, Simplicity—standardized their sizing, based on a B-cup bra (Voguepatterns.com and Butterick.com post detailed size charts). But picking a pattern by bust size alone isn’t always enough. If you’re a C cup or larger and you pick a pattern to accommodate your bust size, it may be too big in the back, neck, and shoulders, which are difficult areas to adjust. For a more proportionate pattern, also refer to the high-bust measurement (just above the bust, under the arms) noted on the Web sites. No matter how a pattern is sized, I suggest trying to pick a multi-sized pattern–because most of us fall between sizes in at least one area of our body. For skirts and pants, you can pick a size according to your hip measurement; then adjust the waist as necessary. Is the pattern easy to alter? With all the body shapes out there, you’ll probably have to make some adjustments to any size pattern. The key is to make altering as simple as possible. Remember that patterns with many pieces, and princess seams in particular, are easier to alter. With more seams to work with, you can simply add to or subtract from the width and fold horizontally as needed to lengthen or shorten. Patterns with few pieces tend to be more difficult to alter. 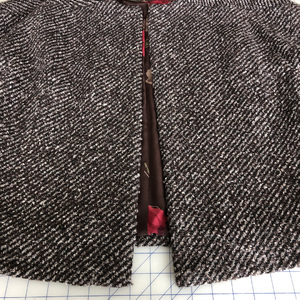 Jacket patterns without a center-back seam and those with vertical darting in the front and back are trickier to alter than those with princess seams. Pants also tend to be difficult to alter, so I suggest finding (and sticking with) a basic pant pattern that closely matches your measurements and shape, and make minor style adjustments as needed. 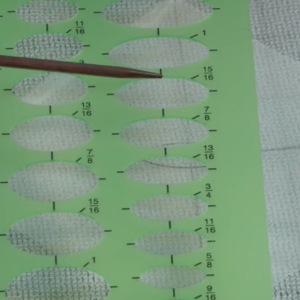 Once you determine a pattern will be easy to work with, turn to the amount of ease in a pattern (the difference between your actual measurements and those of the tissue), which can make or break fit, regardless of size. Ease allows for movement; the amount of ease varies with the garment style. Typically, a pattern company builds 2 in. of ease into its basic sloper (a base pattern that represents the dimensions of a specific figure, without additional design features) and adds additional ease for the style of the garment. A fitted dress, for example, may have 3 in. to 4 in. of ease at the bust, and a loose-fitting dress may have up to 8 in. of ease. 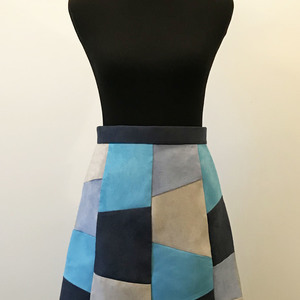 Some pattern companies provide all the finished measurements (bust, waist, hip, hem width) on the envelope and let you figure out the ease for yourself. Other companies note ease information on the envelope. 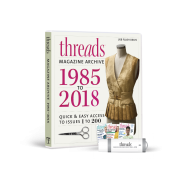 In addition, on their Web sites, both Vogue and Butterick include an in-depth ease chart that lists the ease allowed in a variety of silhouettes. So before you go pattern hunting, figure out how much ease you want in the bust, hip, and finished width. To determine how much ease you want, refer to the photos and caption below. Once you know how much ease you’d like for a specific garment style, you’re ready to play with the pattern tissue itself. 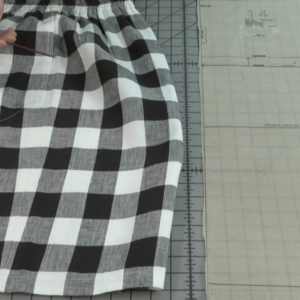 When opening the pattern, have your ease and measurement preferences in front of you to compare with the corresponding measurements on the pattern. I also find four additional measurements—sleeve cap vs. armhole circumference, shoulder width, cross back, and crotch length—especially helpful in evaluating fit (for detailed information, see Key measurements to evaluate fit). If the pattern measurements vary too much from what you’re looking for, consider choosing another pattern. However, if the pattern has the ease you want and the fit is close, it’s a smart purchase. 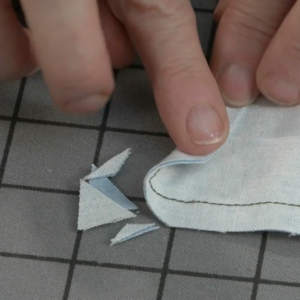 When you get the pattern home, you’ll only need to make simple, speedy adjustments. Then you’ll be ready to confidently make a fitting muslin. Sleeve cap vs. armhole circumference. On pattern, note the difference between length of sleeve cap and armhole seamlines. Sleeve shouldn’t be more than 1-1/2 in. larger than armhole. Cross back. 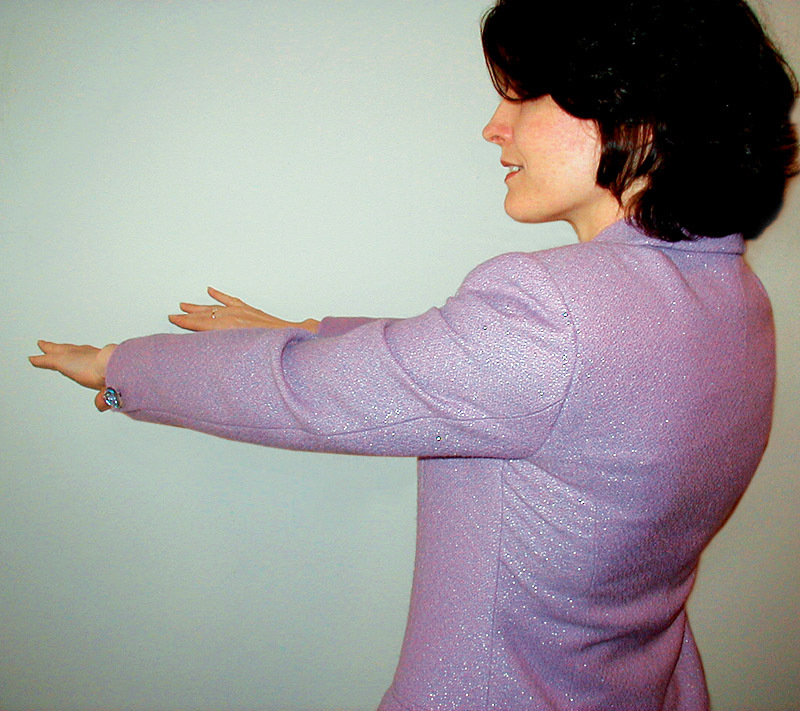 Determine comfortable cross back (area between arms across shoulder blades) as in photo at right. 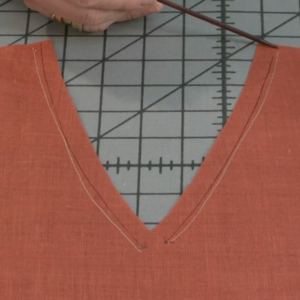 Measure from armhole to armhole at narrowest point (3 in. to 4 in. down from CB neck). Compare with pattern. Shoulder width. Find existing garment with shoulder width you particularly like. 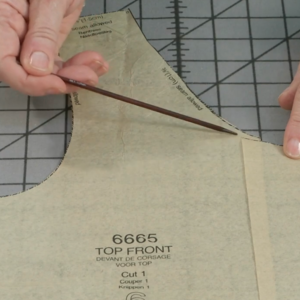 Measure shoulder seam, excluding seam allowances, and then compare with pattern. Crotch length on pants. Measure crotch of well-fitting pants, marking where front and back legs meet. Or tie 1/4-in. elastic around your waist, and measure from front waist to back waist through crotch. Lengthen or shorten tape for comfort, and then compare with pattern. Picking the right pattern may seem like a lot of work. 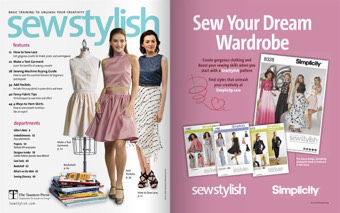 But if you look for patterns that meet your criteria in terms of style, construction time, and skill level, and then compare your desired garment measurements with the pattern, you’ll learn to easily pick patterns you’ll love to sew and wear again and again. 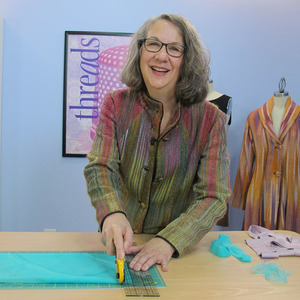 Allison Page teaches and makes patterns in San Francisco.